What a great offer! Check out the call for proposals or explore the conference. Although it’s been around for a while, I only recently discovered a newsletter called Technically Speaking. It’s put together by Cate Huston — my new colleague and mobile lead at Automattic — and Chiu-Ki Chan. 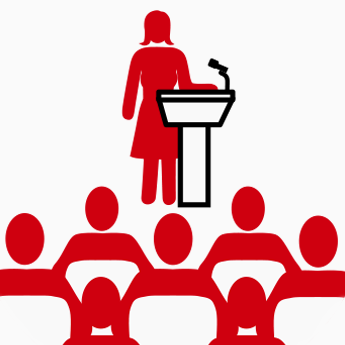 Giving talks at conferences is a great way to take your career to the next level. But which conferences are looking for speakers? What should I say? How to give a good talk? The weekly mailing compiles calls for proposals from technical conferences, speaking tips, and inspirational videos. You can check out the archive of past editions before signing up. Check it out!